Team Aschoff had announced earlier this year that they would take part in the full DMV GTC. 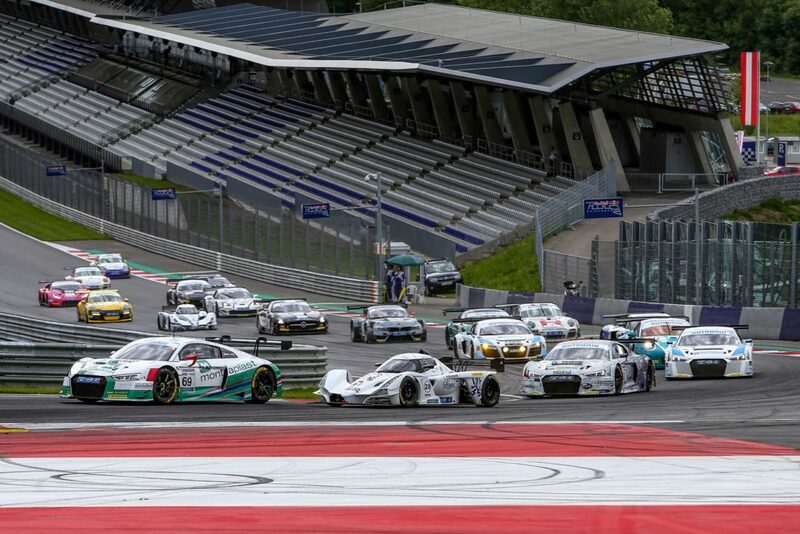 Due to other priorities for their team, they had decided to miss the race at Red Bull ring and therefore missing out on some important points for the series. Luckily with support from the Praga team, both manpower and horsepower, they were able to take part in this exiting race with one of our factory R1Ts. They would be joined by our works driver Aleš Jirásek in a second R1T. The race weekend consisted of two 30 minute sprint races and one 60 minute endurance race. The Dunlop 60 endurance race was a joint venture between the DMV GTC and FIA CEZ, this assured a packed grid of serious machinery, 35 cars in total. Amongst others the race featured a Pagani Zonda, Renault RS01, Lamborghini Huracans and a gaggle of other GT3s. 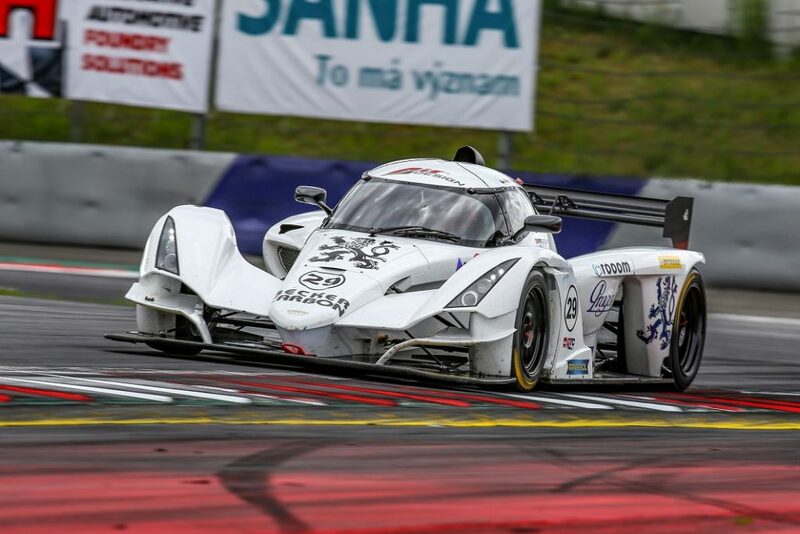 To say the Red Bull Ring is less than ideal for the Praga R1T is quite an understatement. The track is one long straight leading into a tight corner after another. This type of track favours high-horsepower over high-downforce. Some cars featuring more than twice the power of the Praga. Excuses aside we have our eyes set on a podium finish nevertheless. Friday was qualifying day with quali for all three races spread throughout the day. The first of the sprint races saw the qualifying in the orning albeit late enough for the air temperature to rise to 22 degrees. Aleš put his car on P4, recording a lap time 4 seconds faster the last years best lap at this track. The improvements made over the winter are clearly paying off. Lap times improved throughout the day and the second round of qualifying gave us our best results. P3 going into the second of the sprint races. This is really the best possible result for this track with this competition. The last of the qualifying was for the Dunlop 60. Getting a clean lap for qualifying amount 35 cars is not easy and a full course yellow brought the session to and end early leaving us in in a respectable fifth place on the grid. Race 1 saw Aleš starting P4 and Max Aschoff on P15. 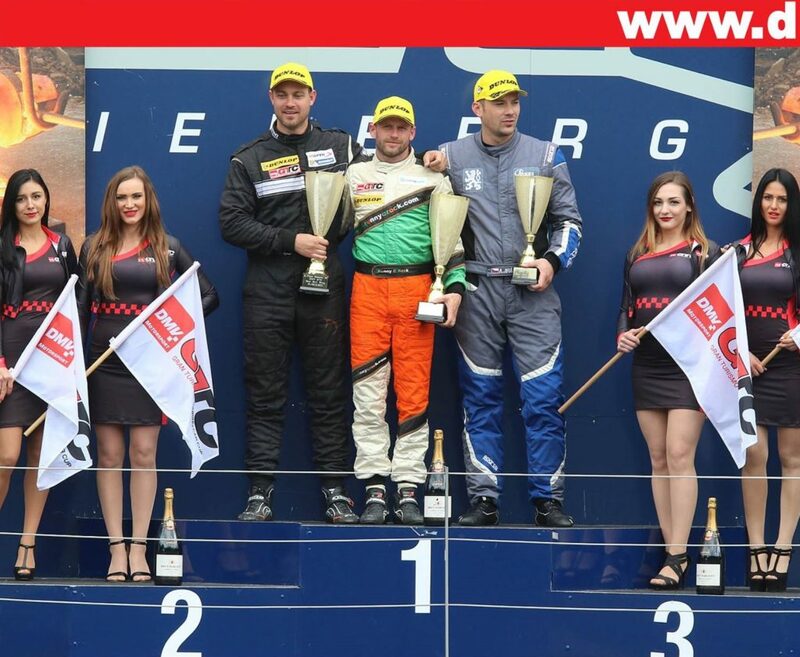 Aleš held his position trough the entire race and a retirement from the leading Zonda endured Aleš a podium finish in the first race of the day. As Max moved his way up the pack an exiting battle occurred between Max and Alois in the 911 GT3R with Alois pulling away on the straights and and Max catching up in the corners and especially in the second more complex half of the track where the Praga had a downforce advantage. Max would finish P13, up two spots from his starting position. “I got under the wing of Alois Rieder for some laps, which made him nervous. He made one or two minor mistakes. At first I was not close enough, but then the opportunity came to overtake, I do not know where I got it, I think it was in turn 2.” Max Aschoff. Despite the weekend off to a good start with a podium finish in the first race, Race 2 saw the unfortunate retirement of Aleš in the R1T. The blow-off valve was not releasing the pressure as it should. This gave lots of power, but only for a short time as the gearbox is not made to handle the amount of torque that was being put through it. Despite the efforts to repair the gearbox it’d had enough and its weekend was over. The car was looking good for two more podiums throughout the day which made the retirement even harder for Aleš. “Of course, I am sorry for our retirement. I believed in a duel with the leading pair – Pagani Zonda and Lamborghini Huracan – at the later stage of the race, when we usually take advantage of the consistence of our speed. In the end, the supercharger vent membrane clogged up, causing that the torque increase led to the breakdown of the gear shaft of the transmission,” Aleš Jirásek explained his retirement on Saturday. Max and Aleš would go on to share a car for the Dunlop 60 endurance race. They would start 19th on the grid and have to slowly work their way up through the pack. They would gain 10 places over the course of the hour and finish 9th overall and 5th among the DMV GTC cars. “It´s a pity that due to the failure of vehicle number 29 we could not start from fifth position Aleš had achieved in the qualifier; we could try to win. 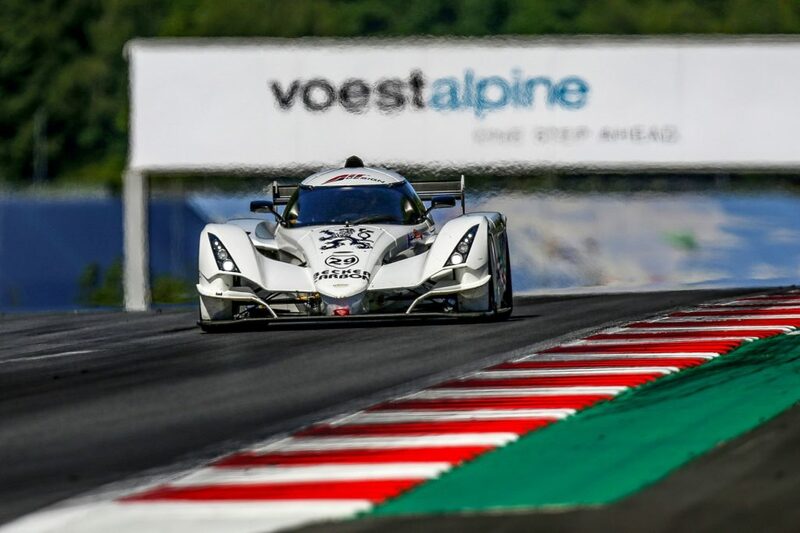 Red Bull Ring is not the right track for our car so,apart from the breakdown, we are very satisfied with our results,” Jiří Lojan CEO of PRAGA Cars.